Beethoven’s complete sonatas for violin and piano performed in three concerts. 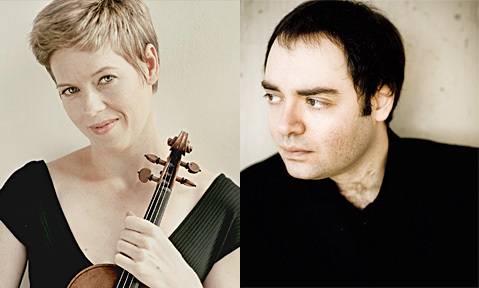 Faust and Melnikov’s stunning recent recording of the complete Beethoven Sonatas for Violin and Piano won Gramophone Magazine’s Recording of the Year Award in 2010. David Gordon Duke, composer, educator, writer and music critic, has a long association with the VRS, where he was programming consultant for the Vancouver Chamber Music Festival. The Telus Studio Theatre is part of the Chan Centre for the Performing Arts. A smaller, more intimate space than the Chan Shun Concert Hall, the Telus Studio Theatre can accommodate up to 275 people. Seating at the Telus Studio Theatre is unreserved.